The Phi Kappa Psi house is a premiere living, academic, and social facility, and the newest Greek house at Oregon State University. The house is a laid out in a simple and efficient four-level, linear scheme, with public functions on the lower levels and private areas on the upper levels. The linear scheme solution provides bedrooms for up to 51 residents, as well as a significant amount of off-street parking and an outdoor basketball court. Most bedrooms sleep 2 members to a room, but one quad room and several single rooms are available. The live-in Resident Advisor has a private room and office on the ground floor, and the chapter President enjoys a private room on the 3rd floor, which also features a loft and a skylight. The design of the chapter house was the result of an intense 6-month collaborative process balancing program goals and costs, and analyzing input and feedback from Oregon Beta undergraduates and alumni. 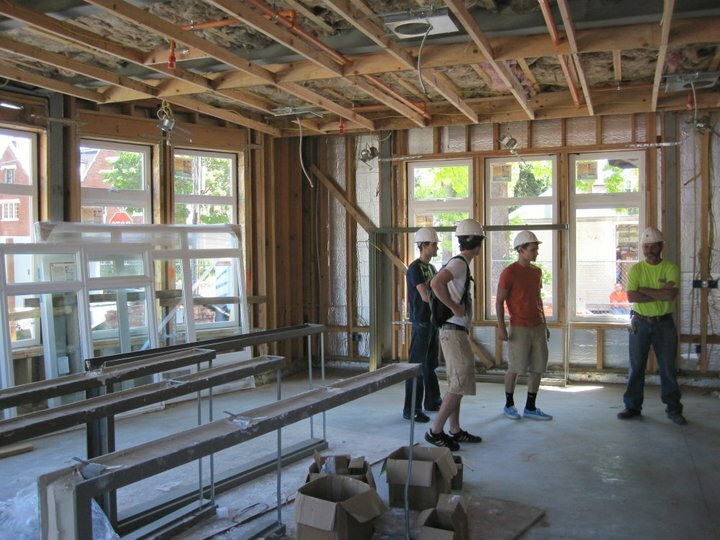 The Oregon State Phi Kappa Psi chapter house was built following a boiler mishap that condemned the previous building in 2008. Between 2008 and 2011, the undergraduate and alumni members of Phi Kappa Psi, with the assistance of the Phi Kappa Psi Foundation and the fraternity national office, conducted a capital fundraising campaign to design and build a new, bigger home for Oregon State Phi Kappa Psi. GBD Architects was hired to design the chapter house, and LCG Pence built the facility in the Spring and Summer quarters of 2011. The chapter house Grand Opening Ceremony was held on October 1st, 2011. The Oregon State Phi Kappa Psi chapter house is located at 140 NW 13th St, Corvallis, OR 97330. The house is located at the corner of NW 13th and Jackson and is part of the 'Original Greek Row' neighboring Phi Delta Theta, Delta Chi, Tau Kappa Epsilon, Lambda Chi Alpha and Sigma Nu.